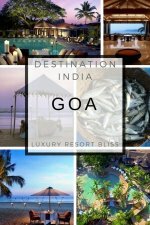 Looking for Italy package deals and resorts. Here are some of the top package deals we have found. There are some great deals to find if you simply would like a vacation package to Italy. 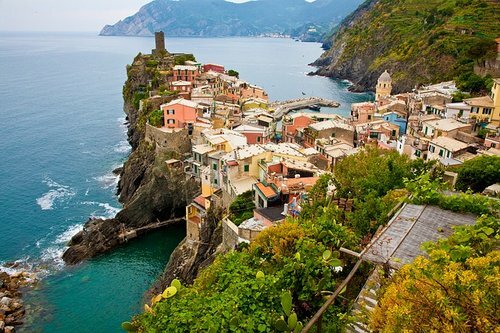 Priceline for example is happy to provide top vacation packages to Italy which can save you hundreds of dollars. A good choice for tours is always G Adventures. They offer lots of inclusive experiences from living locally for a season to ultimate packages where you stroll Cinque Terre, Skip over to Tuscany's to have yourself guided through grand piazzas and cruise the canals and lots more. Take advantage of this special offer when booking. There are some outstanding opportunities in Tuscany to get away for a fabulous romantic vacation and enjoy good food, wine and the landscape. If you have not already considered it, Tuscany has a lot to offer the resort seeker and there are more than a few good options where you can set up base and enjoy the local culture and cuisine. 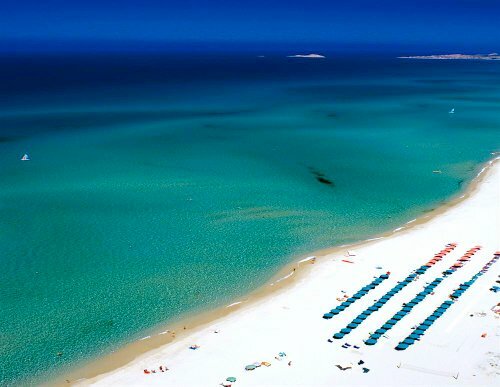 There are also a lot of great resorts on the beach in Italy. These Italy beach resorts provide an alternative to the crowded cultural cities and are a refuge for vacation makers to recharge. Resort & Spa Le Dune is but one example of many of the amazing list of great Italy beach resorts. 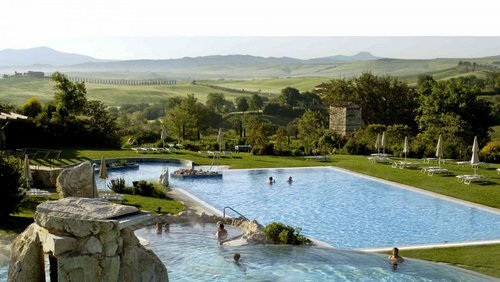 Located in San Quirico d'Orcia, Italy the Adler Thermae Spa & Relax Resort is a classic Italian all inclusive resort. 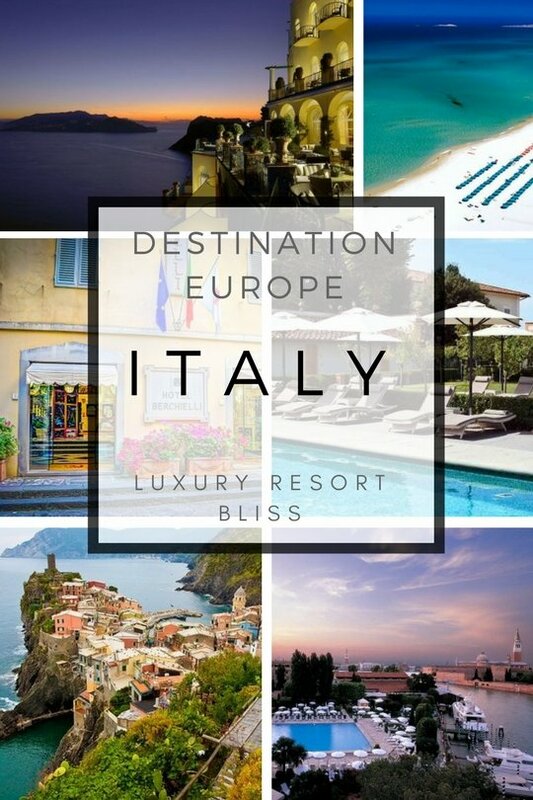 See more about the best Italian all inclusive resorts here. 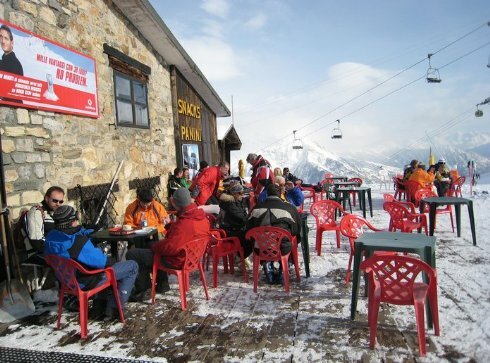 Italy also has a surprising quality of ski resorts and delightful places to stay in the mountains. You can see many of these on our Italian Ski Resorts page. Located directly across from Piazza San Marco, St. Mark's Square in Venice, Italy. 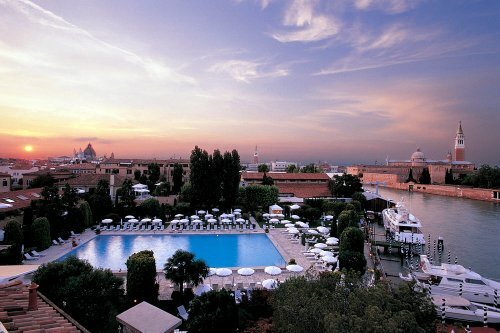 This is an example of the type of hotel you may like to book as part of your Italy package deal and resort option. It's in a historic building away from the busyness of the city centre. 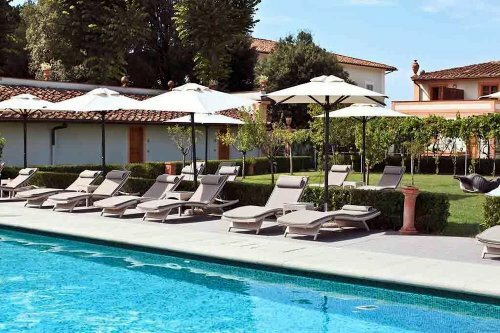 There are expansive gardens, 4 restaurants, a private boat launch, tennis courts, one of the only outdoor swimming pools in Venice and a beauty and wellness centre. There are 104 guestrooms including suites. Some have views of St. Mark's and surrounding islands. There are marble or Italian tile baths. Some have a private balcony or patio. An American style breakfast is included in the room price. Reviewers loved that they had every amenity they could think of, it's starting to look a little tired but still great for Venice, the location is fantastic, one suggests that maybe you should consider it more of a 4 star rather than 5. 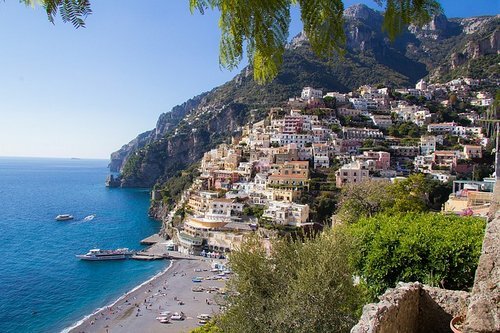 There are some remarkable Italian romantic resorts in places like the Amalfi Coast. 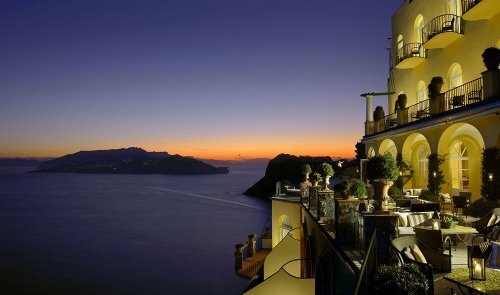 Are you looking for a romance package at a wonderful Italian resort on the Amalfi Coast like Caesar Augustus pictured above, or other wonderful locations across Europe? We have put together a list of our most intimate destination romance resorts in Europe. Italy package deals at TripAdvisor offer some great flight and hotel packages from all the top networks. You can also consider one of the Italy All Inclusive resorts if that is what you are looking for. 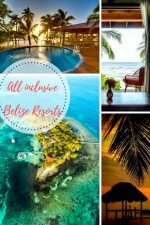 Keep in mind any of the resorts in the right column can easily turn into a package deals. When you team it up with flights from the network links we provide, you can sometimes save hundreds.